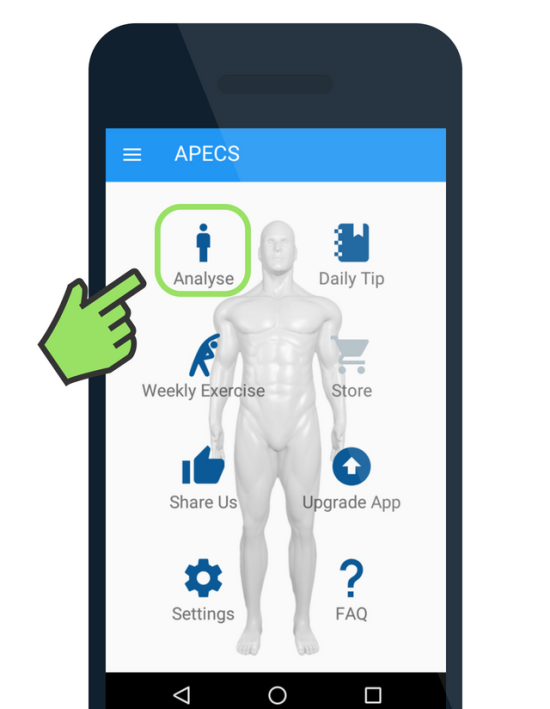 How to use APECS app to get the best results? 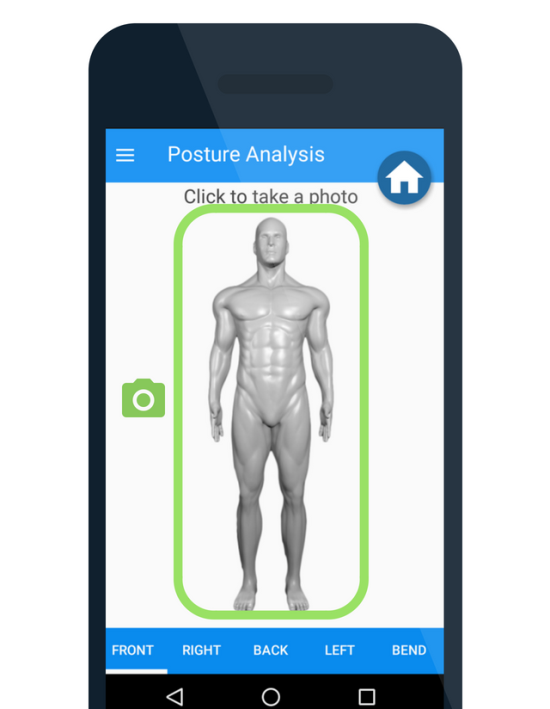 To begin postural evaluation, click on “Analyse”, located on the home screen. By using the side menu button in the top-right corner you can change the language, as well as access the brief version of the Tutorial and FAQ. Follow the visual guide in the upper-left corner to position markers on the photo. Click on “?” for detailed instruction on how to find correct marker points. Press on the screen for 2 seconds. A green marker will appear just above your fingertip. You can reposition the marker by dragging the finger on the screen.You also can change the position of the marker by simply pressing on the screen for 2 seconds in another location. You can zoom in and reposition the image for better accuracy. Proper position of markers will lead to more accurate results. When you positioned the marker, press on the Pin button on the bottom menu to validate it. The green marker will transform into a red dot. You will then be asked to position the next marker. 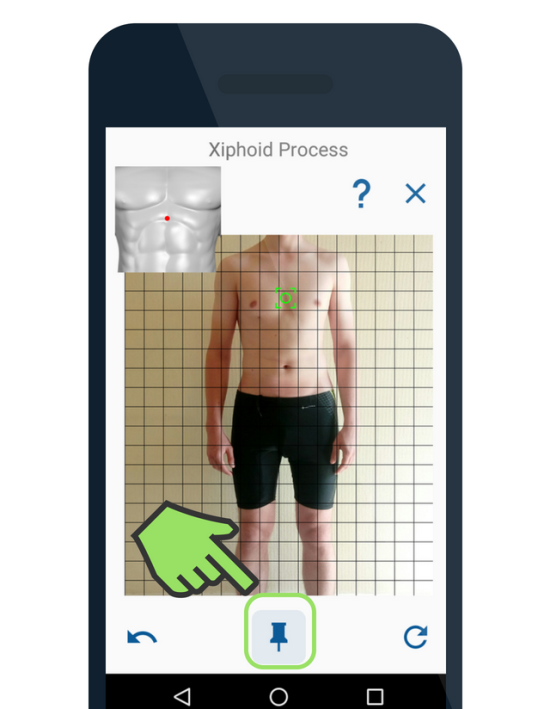 You can reposition already validated markers by clicking on the Return button in the bottom left corner, or restart the whole process by clicking on Refresh button in the bottom right corner. 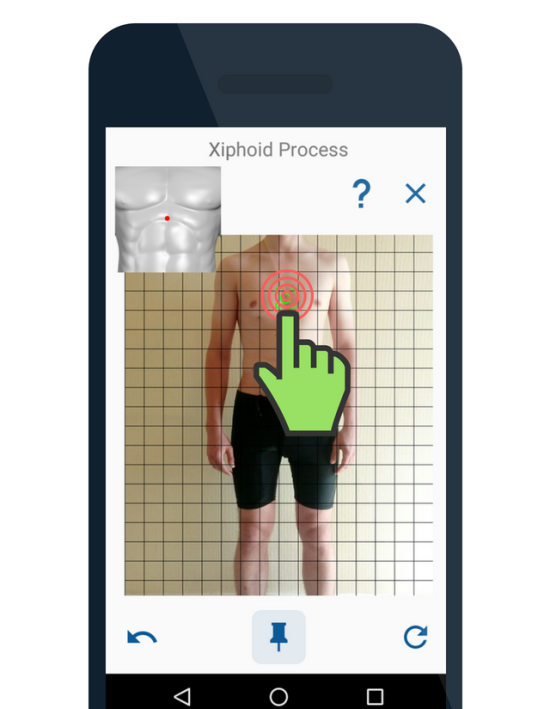 After positioning all the markers, you will be able to receive the evaluation results, including graphical results and a table of angles detected. If you performed all 5 photo evaluations, APECS will interconnect all the evaluations and provide you with a detailed textual interpretation of the results. 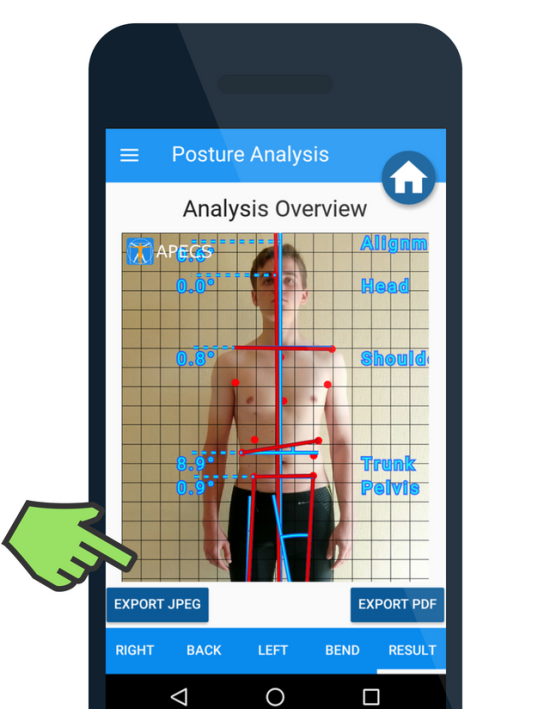 You can download the evaluation results in JPEG format (graphical results) and PDF format (complete report) for later use.